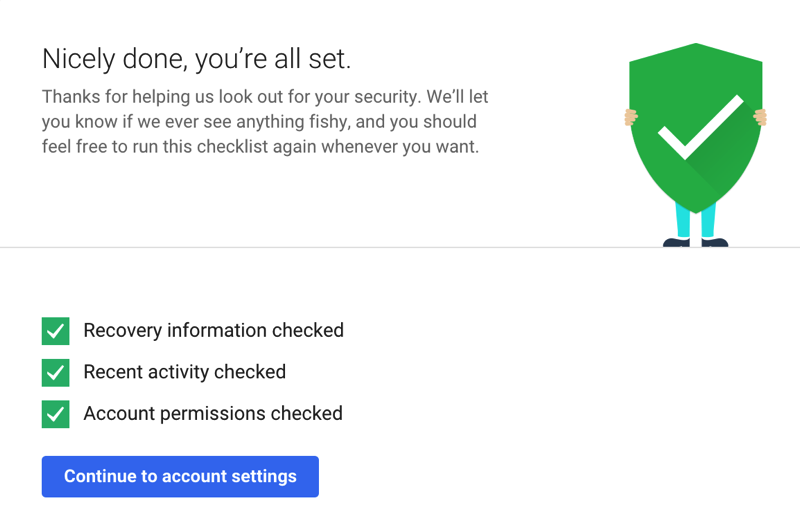 Today is Safer Internet Day and Google wants to reward you for doing a quick security checkup of your Google Account. Two minutes of your time will nab you 2GB of free permanent Google Drive storage for eligible users. We just did the security checkup ourselves and it’s really simple. All it does is ask you to review your account recovery info, check recent sign-in activity and confirm apps and devices that have access to your account info. Once you’ve completed the test, you’ll see three green checkmarks below which should let you know you’re eligible for 2GB of free storage, set to be granted by the end of February (a follow up email will arrive as well). 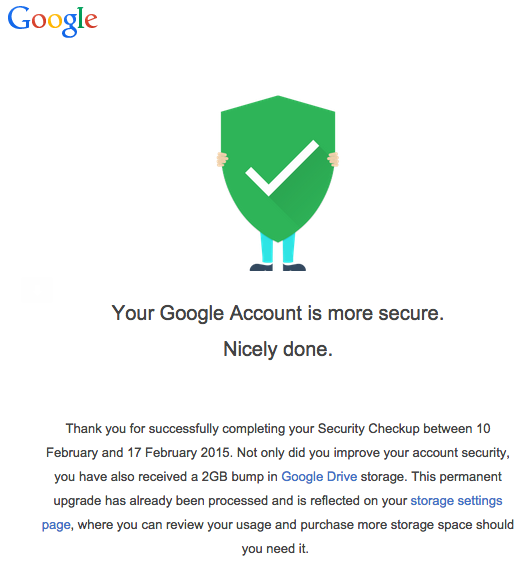 You have until February 17 to complete the security checkup to be eligible for your 2GB of free storage, which you can do here. 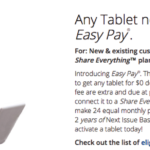 Google Apps for Work and Google Apps for Education users are not eligible for the bonus storage.